Children traditionally leave out a plate of cookies for Santa Claus on Christmas Eve to thank him for delivering gifts and to give him some sweet sustenance for his nightlong journey around the world before returning to his home in the North Pole. 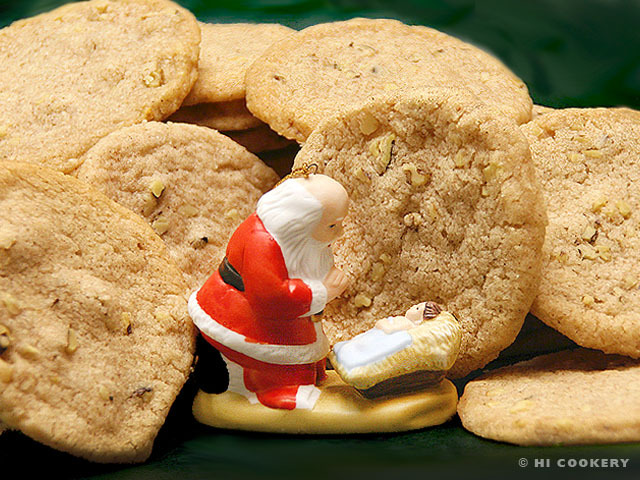 In Holland, there are special cookies named specifically after the legendary gift-giver Santa Claus: St. Nikolaas Koekjes. These crisp cookies contain nuts and seasonal spices. In the tradition of Santa Claus/St. Nikolaas, and in the spirit of giving, we baked these cookies for a crowd at Christmas parties and for the Feast Day of St. Nicholas. In a bowl, stir together the flour, baking soda, salt, cinnamon, nutmeg and cloves. 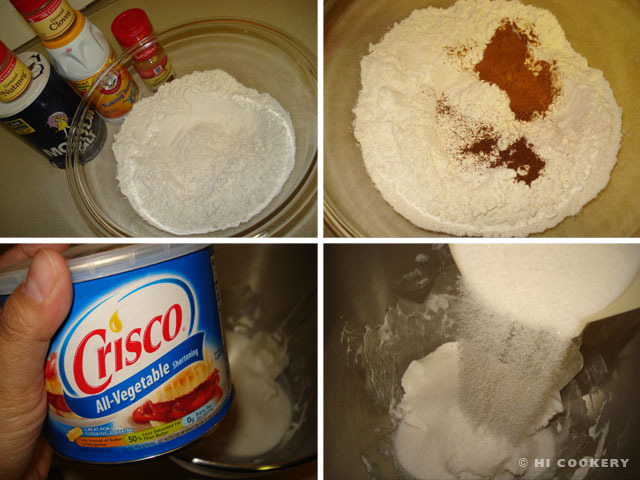 In another bowl or mixer, cream the shortening with the sugar. Stir in the sour cream until smooth. Gradually add the flour mixture. Blend to make a dough. Add the nuts. Transfer the dough onto wax paper. Shape into a log with a diamter of 2 inches. 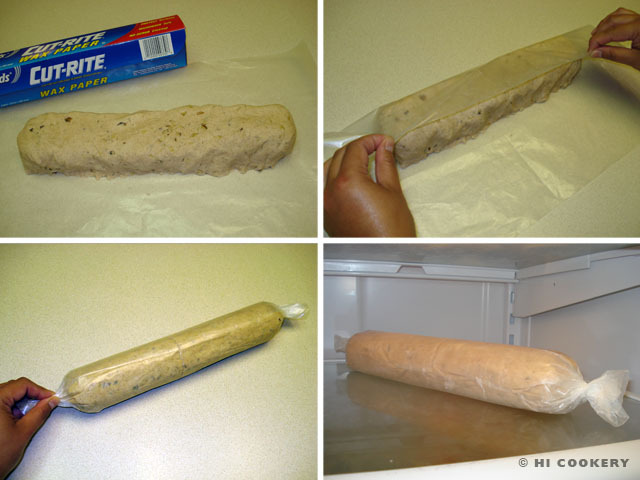 Wrap and refrigerate the dough for at least 8 hours or overnight. Slice the log about ¼ inch thick. Place 2 inches apart on a lightly greased baking sheet lined with foil or parchment paper. Bake in a preheated oven at 375 degrees F for 10-15 minutes or until golden brown. 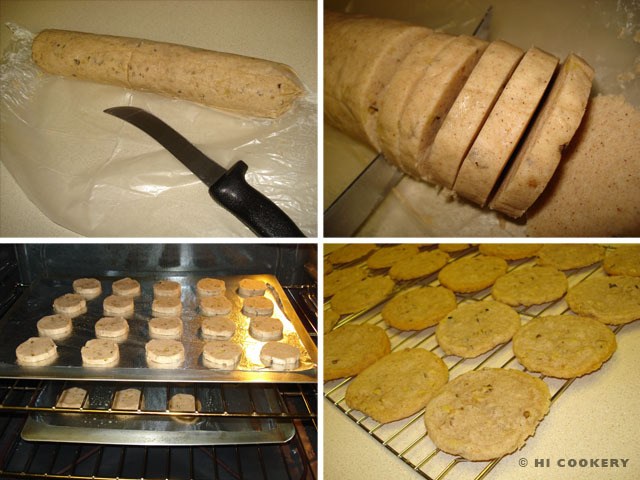 Remove from the oven and transfer the cookies to a wire rack. Allow the cookies to cool to a crisp. Yield: Approximately 3 dozen. 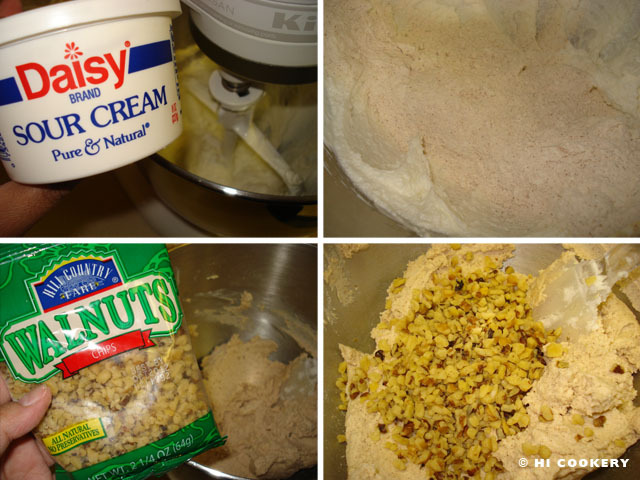 Other nuts may be substituted for the walnuts in this recipe. After refrigerating the dough overnight, we firmed it up in the freezer for around 30 minutes for easier slicing. During this commercialized Christmas season, even Santa Claus/St. Nicholas knows that the greatest gift of all is Jesus! Thanks to Islander’s brother for gifting us with the “Kneeling Santa” ornament in the final food photo above. “Kneeling Santa” is inspired by scripture (Philippians 2:10-11). Read more about “Kneeling Santa.” There is a sermon from The Interim and a prayer/poem from the Santa Lady sites.